Educational institutions: 1st class to class 5, Preparatory Grammar School, Mirpur. Class 6 to Class 10, Mirpur Bangla High School. 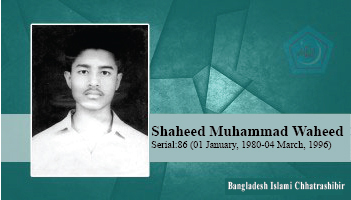 In the SSC examination of 1995, he passed getting the number 720 in the 1st division.